Doug is the CEO of AQR and for AQR International – Founded in 1989, AQR is now recognised as one of the most innovative (and fast growing) test publishers in the world working in more than 80 countries. Doug has more than 30 years expertise in a variety of Line, HR & Consultancy roles with a number of blue chip businesses. Doug’s areas of expertise also include Organisational Development, Senior Management/Leadership Development and Top Team Assessment. Claudine’s key areas of responsibly include Marketing, Promotion and Financial operations of the company. Her role also embraces the technical and customer support of AQR’s clients, partners and distributors both in the UK and overseas. She brings to AQR experience in a number of areas including finance, sales support/customer service, marketing and product management having held roles across a variety of sectors from printing and production through to the leisure industry. Monika is responsible for systems and IT development within AQR. Her role in the organisation is to make our high quality psychometric tools accessible worldwide. She also takes a major role in promotional and marketing strategy of overseas territories particularly focused around Europe. She has valuable expertise working in the European Integration Committee during the Polish accession to EU as well as being active member of the university organisation where she was focused on maintenance of cross border contacts.. She speaks English and Polish (native speaker) and is currently developing her Spanish, Dutch and German language skills. Formerly Assistant Director of Sixth Form at Blue Coat School in Oldham where he led a programme since 2012 to embed a mental toughness culture throughout the school. Blue Coat School has won acclaim for producing one of the best sets of A level results in the UK. Blue Coat is a teaching school. Steve is adding to his practical experience by working on a PhD in Mental Toughness under the supervision of Professor Peter Clough. Toni first began working with us when she was a Psychology undergraduate at the University of Chester. She has worked with AQR in a variety of project-based roles since 2014. Toni is responsible for coordinating and managing business and product development projects, marketing and promotional activity within AQR’s educational division. She is also responsible for providing a full support service to the users of AQR measures. Toni holds a British Psychological Society accredited degree in Psychology from the University of Chester and a Masters Degree in Organisational Psychology from The University of Manchester. She also holds Level A and B qualifications in Occupational Test Use, is a graduate member of the BPS and a practitioner member of the Association for Business Psychology. Maya works with AQR supporting and project managing business development and delivery of programmes. Maya is a highly motivated HR professional with over 8 years’ expertise in the Middle East, and almost 2 years in Southeast Asia. Maya’s knowledge and expertise has been gained through working in a variety of organisations in the Lebanon and the Gulf region (particularly the UAE). Maya has excellent change management capabilities, as well as first class people management skills. She has purposefully developed an interest, both academically and professionally, in psychology to enhance her work in this area. As a result she has developed significant expertise in assessment, development and coaching activity. Sylwia heads up AQR’s operations in Poland and Central Europe, She is a seasoned professional who has expertise in a variety of sectors and functions including sales, management and HR. She specialises in conducting training on AQR’s psychometrics products and development programmes . She also delivers teambuilding and management, leadership, motivation and improving interpersonal skills of managers. She also designs and runs Assessment and Development Centers and consults on HR projects including recruitment and development. 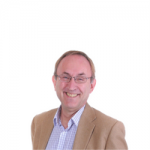 Peter has more than 30 years experience in business, in a range of sectors including Automotive, FMCG, Food Packaging, and Leisure. Organisations include international blue chips such Magna, Johnson Controls, Michelin and Autoliv STADCO. In his last major role, as General Manager of a UK Division of Magna (with 600 staff) he turned around a loss making entity to a performing profitable £75M turnover division. Peter works closely with AQR and has an in-depth knowledge of their tools and expertise in their application in a wide variety of situations. Peter’s main focus is the provision of executive coaching to senior managers. Pauline has more than 26 years experience in Health, Local Authority, Education and private sector organisations. She delivers a range of licensed product training and development programmes for AQR. In addition she runs a Business Psychology consultancy and Associate Lecturer at the Management Centre, Bangor Business School and Kaplan Open learning. More recently she has become an associate for the Care Council for Wales. Her varied career has spanned across the domains of business consultancy, coaching/ therapy, stress management, training/ lecturing, and as part of a strategic management team of a local authority.